On this edition of Priority Talk, Greg plays an audio sample of the explosive Congressional hearings of FBI Agent Peter Strzok and made comments as to the nature of these hearings. Next, Greg shares two recent examples of abuses of the Establishment Clause on public school campuses. Hear about threats of law suits as well as cease and desist orders to a local pastor and representative of the Gideons organization. 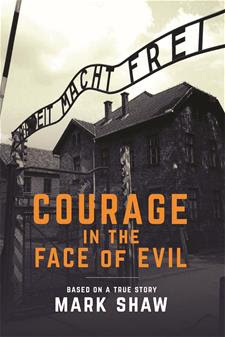 Halfway through the show, we visited with Author Mark Shaw about his latest book "Courage in the Face of Evil". The true story, both inspirational and educational, is based on the detailed diary of a German Christian nurse Holocaust survivor. She endured more than five years in a concentration camp exclusively for women, but hope was not lost. The book tells it all. Posted on July 12, 2018 by Greg Davis.